^ 3.0 3.1 Wolfram Nordsieck. Parties and Elections in Europe. parties-and-elections.eu. ^ Paul Taggart; Aleks Szczerbiak. The Party Politics of Euroscepticism in EU Member and Candidate States (PDF). University of Sussex. ^ Tory MPs 'still overwhelmingly Thatcherite'. The Telegraph. Published 25 June 2008. Retrieved 21 February 2017. ^ Whiteley, Paul; Seyd, Patrick; Richardson, Jeremy. True Blues : The Politics of Conservative Party Membership: The Politics of Conservative Party Membership. Oxford University Press. 1994: 141–142 [9 May 2016]. ISBN 978-0-19-154441-5. ^ Competing on the centre right: An examination of party strategy in Britain. University of Leicester. [9 May 2016]. ^ Coulson, Rebecca. What does being right wing mean?. Conservative Home. 4 May 2016 [9 May 2016]. ^ Lords by party, type of peerage and gender. www.parliament.uk. [13 June 2015]. ^ Local Council Political Compositions. Keith Edkins. 24 November 2013 [24 November 2013]. ^ Annual Report and Financial Statements for the year ended 31 December 2004 (PDF). The Conservative and Unionist Central Office. [2007-04-20]. ^ "European Union" - Speech by Winston Churchill - Zürich - 19 September 1946: BMDF Synopsis. BMDF Library of speeches. British Management Data Foundation. [2007-04-20]. （原始内容存档于2007年4月2日）. ^ Datelines. 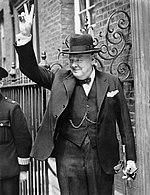 Sir Winston Churchill: Publications and Resources. The Churchill Centre. [2007-04-20]. （原始内容存档于2007-03-11）. ^ David Cowling. Poll monitor: Labour looks hard to beat. BBC News. 2001-02-09 [2007-04-20]. ^ Trying to be 'down with the kids'. BBC News. 2003-03-07 [2007-04-20]. ^ Tory critics round on Hague. BBC News. 2001-03-05 [2007-04-20]. ^ Tory peer attacks Hague over race. BBC News. 2001-04-27 [2007-04-20]. ^ Full text of David Cameron's victory speech. Guardian Unlimited. 2005-06-12 [2007-04-20]. ^ Conservative or Labour preference (”forced choice”). UK Polling Report. YouGov. [2007-04-20]. ^ Tory plan to restrict Scots MPs. BBC News. 2006-07-02 [2007-04-20]. ^ Blair stole our clothes - Howard. BBC News. 2004-11-17 [2007-04-20]. ^ William Keegan. It's the rich what gets the pleasure .... The Observer. 2005-10-30 [2007-04-20]. ^ Business: The Economy - Labour's economic record. BBC News. 1999-07-26 [2007-04-20]. ^ Portillo springs surprise U-turns. BBC News. 2000-02-03 [2007-04-20]. ^ EU boost for professionals' job mobility. European Review, Issue 26: 4. [2007-04-20]. （原始内容存档于2006-05-17）. ^ Lucy Ward. Willetts pledge: war on lone parents is over. The Guardian. 2002-10-09 [2007-08-21]. ^ Peter Hitchens. The Great Tory Hope. The American Conservative. 2006-12-04 [2007-04-20]. ^ Matthew Tempest. 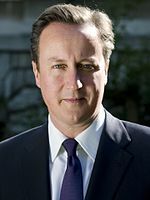 Cameron: I'm no neo-con. Guardian Unlimited. 2006-09-11 [2007-04-20]. ^ Martin Kettle. David Cameron's special relationship. Guardian Unlimited: Comment is Free. 2006-08-29 [2007-04-20]. ^ Hague rebukes Tory MP over race. BBC News. 2001-03-28 [2007-04-20]. ^ Senior Tory sacked over racist joke. BBC News. 2002-05-05 [2007-04-20].